Tom Delaney has worked for Michael Saunders & Company for over a decade, specializing in luxury waterfront sales throughout Sarasota, but especially on Longboat Key where he currently resides. 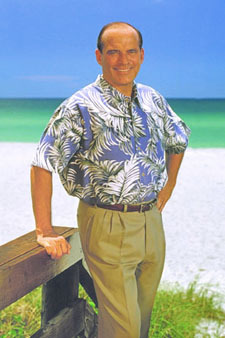 Prior to real estate, Tom owned a computer products company, which he successfully sold in 1996 in order to pursue his dream of traveling and ultimately settling on Florida’s Gulf Coast. His clients would tell y... more.ou that he is a business man through and through, giving him a different perspective on real estate from a legal, accounting, finance, and investment point of view. It is this experience that appeals to his high net-worth clients, as they know he is sensitive to their portfolio management. He loves a good challenge and is always expecting an “out of the norm” transaction. Tom is also a dedicated family-man, raising two sons to be successful businessmen themselves. He adores his three grandchildren and often travels to Minnesota and Kansas to visit. When you meet Tom, you’ll immediately notice his strong work ethic and Midwest values—where business is done on a handshake and with the highest of integrity.